Vibrant Democracy Requires Eternal Vigilance - LET'S ACT NOW! I first read that MAFREL (Malaysians for Free and Fair Elections) needed volunteers to act as election observers in Zorro's blog, and decided to sign up. I emailed En. Arphan, who is the honorary secretary of MAFREL, and was sent a registration form to fill up and return. This was followed by a Elections Commission (SPR) form applying for observer status. I finally got to meet him when I delivered the form all signed and sealed. A gentleman through and through. Even an attack of gout did not prevent him from fulfilling his duty at Bagan Pinang! Once the required pass was obtained, and we volunteers were instructed to report for a briefing at MAFREL's operations center in PD, on the morning of 10 October, the eve of the elections. I left home early, and managed to conduct a quick recce of the polling station I was assigned to, and made it to the briefing on time. The operation centre was a modest single storey terrace house in Teluk Kemang (which I believe was lent by a well wisher). Soon, there assembled a very diverse group of Malaysians, with diverse (even opposing) political views, but all dedicated and united in the desire to see free and fair elections in Malaysia. Some even drove all the way from Kelantan! In order for democracy to be meaningful, elections have to be free and fair (for a good definition of "Free and Fair Elections", see this declaration by the Inter-Parliamentary Union. Read also their excellent book here). Independent, non-partisan observers can play a vital role in ensuring that, especially when the officials running the elections are civil servants beholden to one of the contesting parties. One more thing that he made clear was that as volunteers, we were "sukarela" as well as "dukarela", i.e. there were no funds for allowances, reimbursements etc., and we would have to bear our own expenses. However, those assigned to remote polling stations would be provided with a packed lunch. In practice, food was shared generously, and our leaders graciously took it upon themselves to bear the cost of meals together. As MAFREL election observers, our authority is of a moral rather than legal nature. Our effectiveness depends on how well we engage with the Presiding Officer (PO) and build credibility and trust. En. Azmi, veteran MAFREL observer all the way from Kelantan. He shared with us his wealth of practical experience. En. Azmi, who is a veteran of numerous MAFREL missions, gave us a rundown of the common issues we would face, and how to solve them. What was most interesting was the various tricks to watch out for; after listening to him, we felt qualified to be "Ghostbusters"! After the briefing was over we took a group photograph, then quickly got into our teams and organised ourselves for the journey to our respective polling stations the next day. The Bagan Pinang Observers Team ready for action! Over lunch, I took the opportunity to ask our seniors about their motivation for getting involved in MAFREL. What came through strongly was a common need to help the cause of democracy, without getting into partisan politics. I also perceived a shared realisation that democracy would be best served by a strong adherence to fairness and principles. Something that is being planned are voter registration/education activities. You can read more about MAFREL's plans here. Having already recced my polling station in the morning, I had the rest of the afternoon free. I decided to trek up to the Tanjung Tuan lighthouse, which you can read about here. The Grand Finale of PR's Bagan Pinang campaign - just before the 12.00 am deadline to stop! After the ceramah was over, it was back to our "Markas", with the living room where the briefing was held earlier now doubling as a makeshift dormitory. Word to the wise: bring a tikar and bantal for the next mission! Next morning, there was a rush for the bathroom, then get into our cars and drive to the polling station! My partner and I got to the polling station in time, and introduced ourselves to the PO and police officers on duty. At 0800 hrs sharp, the polling began. It was humbling to see before us the exercising a human right that went all the way back to the dawn of democracy in Athens. Outside the polling station, the excitement was palpable. All sides tried to get away with breaches of polling regulations and etiquette; my partner and I were kept quite busy! Our final duty was to observe the counting. Once that was done, all that was left was to head back to op centre, and submit our reports for the day. It was a long and tiring day, but it felt good to have done a little bit for Democracy. I'm looking forward to learning more about our elections, and to participating in the next ones. Let's never forget that "Vibrant Democracy Requires Eternal Vigilance!" Today, 17 October 2009, is Deepavali, the festival of lights which is observed and celebrated by Hindus, Sikhs, Jains and some Buddhists too. Deepavali (or Diwali) literally means "a row of lamps" in Sanskrit, and lamps play a major role in its celebration, signifying the victory of good over evil, and of light over darkness. Return of Rama to Ayodhya: Diwali also celebrates the return of Rama, King of Ayodhya, with his wife Sita and brother Lakshmana to Ayodhya after a 14 year exile, and a war in which he killed Ravana. It is believed that the people of Ayodhya lit ghee lamps along the way to light their path in the darkness. Since Ram traveled from South India to his kingdom in North India, he passed through the south earlier. This is the reason why the festival is celebrated a day earlier in South India. Diwali usually comes 19 or 20 days after Dasara. The Killing of Narakasura: Celebrated as Narak Chaturdashi, one day before Diwali day, it commemorates the killing of Narakasura, an evil demon who created havoc, by Krishna's wife Satyabhama. This happened in the Dwapara Yuga during this time of Krishna's avatar. In another version, the demon was killed by Krishna. The third Sikh Guru Amar Das started Diwali celebrations by motivating all Sikhs to come together on this day and seek the blessings of the Guru at Goindwal. Another event that marks this festival is that the foundation stone of The Golden Temple at Amritsar was laid on Diwali. Even though the Sikhs were celebrating Diwali since a long time, its significance increased historically when their revered Guru Hargobind Sahib was released from prison on this day at Gwalior. Hence, Diwali is celebrated as “Bandi Chhorh Diwas”/day of freedom by Sikhs. Emperor Jahangir imprisoned Guru Hargobind Sahib along with 52 other Hindu kings at Gwalior fort as political prisoners. The people pleaded for the release of their Guru and it was granted in October 1619. But, the Guru asked the emperor to release all the other kings along with him, to which he agreed. After the release, the Guru went straight to the Golden Temple at Amritsar and to welcome him there were hundreds of lamps lit in the temple. During the festival people prepare sweets at home and devotees float multi-colored light candles on the water body around the Golden Temple. Here a grand fireworks display is held in the evening. Sikhs take out Nagar keertan/street procession during Diwali and Akhand paath or nonstop reading of Guru Granth Sahib is held as part of the celebrations. Joyful melas/fairs are also held. Diwali is celebrated by Jains with devotion, on this day Lord Mahavira the 24th Thirthankara achieved Nirvana on Amavasya of Ashvina masa in 527 B.C. The Lord left the body and achieved Mukti/liberation in Pavapuri, Bihar. Lighting of lamps on this day acknowledges Lord Mahavira’s preaching and knowledge. Jains fast on these three days and recite sacred hymns and meditate. They also listen to Uttaradhyavan Sutra, which is the final preaching of Lord Mahavira. Houses will be elaborately and beautifully decorated with lamps and lights. They also worship Goddess Lakshmi on Amavasya and businessmen open new account. Sweets and savories are prepared and distributed to friends and relatives. Buddhists especially Newar Buddhists celebrate Diwali in their quiet way. They chant the mantras and remember Emperor Ashoka who converted to Buddhism on this day. Hence the Buddhists also know the festival as Ashok Vijayadashami. Their temples and monasteries are well decorated during this time and the Buddha is worshiped with full honors. In anticipation of the celebration, homes as well as their surrounding areas are cleaned from top to bottom; decorative designs such as the kolam are drawn or placed on floors and walls; and the glow of lights, whether emitted from the traditional vilakku (oil lamps fashioned out of clay) or colourful electric bulbs, brighten up the abode of both rich and poor, signalling the coming festivities. Temples are similarly spruced up with flowers and offerings of fruits and coconut milk from devotees, becoming more abundant and pronounced as the big day draws closer. The spring cleaning and decorating are significant for they not only symbolise renewal but also prepare for the welcoming of Devi Lakshmi, the goddess of Wealth and Prosperity, who is believed to visit homes and temples on the day. It is said she emerged from the churning ocean only days after the new moon of Deepavali. Besides the cleaning of homes and temples, Hindus also prepare themselves by cleansing their bodies and minds. Many among the devout fast, or observe a strict vegetarian diet, and spend hours during the preceding weeks in prayer and meditation. The eve is usually spent making last-minute preparations for the next day. This is also the time when past quarrels are forgotten, and forgiveness is extended and granted. On Deepavali morning, many Hindu devotees awaken before sunrise for the ritual oil bath. For some it is a symbolic affair (to signify purity) while others take full oil baths to remove impurities externally, as well as tone the muscles and nerves to receive positive energies. Then it's straight to the temples where prayers are held in accordance with the ceremonial rites. The rest of the day is taken up by receiving guests, as is customary here in Malaysia. Most devout Hindus tend to be vegetarian, but that doesn't change the fact that Deepavali is the day to savour the many delicious Indian delicacies such as sweetmeats, rice puddings and the ever-popular murukku. Yesterday, Barack Obama became the first American President to personally celebrate Deepavali. Barack Obama lighting a "kuthuvilakku" lamp at the White House yesterday (photo from here). You can see his Divali message on YouTube here. Deepavali valthukkal to all! May the Light shine on us, in us and from us! P.S. You can learn more about Hinduism here and here. You can read an English translation of the Bhagavad Gita here. the love and wisdom of my parents are not. I am guided by the parents who birthed me and watch over me. human beings who maintain their souls will live life wonderfully. The wishes of he who lives sincerely always come true and he prospers. You can do anything if you try, but you can't if you don't. Tinsagu nu Hana (Okinawan てぃんさぐぬ花 "the Balsam Flowers") is sometimes spelled Tensagu nu Hana. Okinawan children will squeeze the sap from balsam flowers to stain their fingernails. The lyrics of the song are Confucian teachings. Of the six verses, the first three relate to filial piety, while the last three refer to how to respect one's body and one's goals. Each verse has exactly the same number notes using language and meter devices that are solely Ryukyuan. The English translation tells of the content of the verses but fails to convey the precision and the beauty of the song. Alas, the best translations are metempsychoses. If you go to Tanjung Tuan, beware the monkey! Last weekend I was in Port Dickson for the Bagan Pinang by election, and had some free time on Saturday afternoon. Having had enough of the campaigning antics (of both sides) for a while, I decided to go to Tanjung Tuan (also known as Cape Rachado) for some peace and quiet. It was not far from where the MAFREL's operation centre was. My Mum used to tell us about the times when, as a child, she would visit the "keramat" at Tanjung Tuan with her family. According to legend, Parameswara, the founder of Melaka, is supposed to have been buried somewhere there. In those days, the only way to get there was by boat, which would have to navigate past the dangerous whirlpool and turbulent waters off Tanjung Tuan, which have claimed many lives. Of course, nowadays one can get there easily by land. Just go south on the coast road to Melaka, and turn right at the junction, just after Si Rusa, which is clearly marked "Tanjung Tuan" and "Blue Lagoon". I parked near the Ilham Resort, and entered the gates to the Tanjung Tuan Recreational Forest. From there, I walked along a winding tarred road through the jungle, right up to the lighthouse. The Tanjung Tuan lighthouse is impossible to miss. Unfortunately, it is off limits to all by order of the harbourmaster of Melaka. Apparently, Tanjung Tuan is under the jurisdiction of Melaka, not Negeri Sembilan. From the front of the lighthouse, there are paths leading down to the beach. I chose to take the path leading to Pulau Intan. It took me about 25 minutes to get to the beach from the entrance. The beach and view was well worth the trek: not another human in sight; just the sun, the sea, the wind and the sand! I suppose Pulau Intan is only a pulau at high tide! Even though the shore was somewhat muddy (not surprising given the mangroves nearby), the water was clean (definitely cleaner than the rest of PD), and perfect for a leisurely dip. However, one needs to be careful of the rough rocks on the beach and under water. As I was enjoying the cool water, I saw that a monkey was calmly going through the contents of my knapsack! As I rushed back to the rock where I had left it, my simian friend decided that he needed my bag of toiletries, and took off up a nearby tree with it! If you happen to see a well groomed monkey with a dazzling smile in Tanjung Tuan, you'll know which one it is! What's a little toothpaste, soap and a toothbrush between distant cousins, especially since Evolution Day is just around the corner? I wish that I had had something more nutritious to share. From the beach, the Sumatran coast is visible, just 38 kilometres away. If BENDERA had wanted to attack Peninsular Malaysia by sea, would this have been the nearest spot for them? Recently, a young Malaysian, who is researching citizen journalism and citizen blogging in Malaysia, emailed me with some questions to answer. After sending him/her my reply, I realised that what I wrote was a statement of why I blog, and of who I am as a blogger. I reproduce here his/her questions and my responses to them, as a statement of principles. Social and political developments in Malaysia. March 8 2008 gave me a lot of hope that Malaysia was on the right track as far as our social and political growth was concerned. 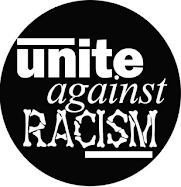 However, by end of 2008, cracks began to appear in the Pakatan Rakyat coalition, and Umno/BN began to make succesful attacks on the idea of a two party system, and on multiracial and multireligious cooperation in Malaysia. These attacks were also made through their Main Strean Media (MSM) and bloggers, often with dodgy evidence and very flimsy reasoning. I felt that I could do something to counter them, and to share with others my own opinions on how Malaysia should go forward. Why is there a need to self-publish? Before the advent of blogging, there were few economical avenues for ordinary citizens to get their views heard: letters to the editor in the MSM, or join (or form) an association and issue press statements (again to the MSM). At the end of the day, the MSM and their owners decide if your views are worthy of publication, and if your views are consistent with their agenda. Blogging allows me to avoid that "censorship", and to share my views quickly. I blog about the importance of human rights, freedom and justice in a democracy, and I blog about whenever these are threatened. The people and institutions whose actions I write about are politicians, government, MSM and other bloggers. So I guess that my blog is a socio-political watchblog. 3. Who/What are you sources of information? Do you read news and blog about it afterwards? 4. What do you understand about ‘citizen journalism’? As I understand it, Citizen Journalism is ordinary citizens gathering news and presenting it along with their own views, using technology to reach a wide audience. IMHO, It's a democratisation of news (and views) gathering and dissemination. 5. Do you think you are practicing citizen journalism? Would you consider yourself a citizen journalist? 6. What do you hope to achieve through blogging? (Eg: To create awareness among the public? 7. How would you define Malaysia’s current mainstream media? Our MSM is 100% owned by either political parties or corporate interests. Therefore, the news they report reflects their owners' need for political and pro-corporate propaganda, not Malaysian's need for news and views on human rights, freedom, justice, good governance, transparency and democracy. Do you still believe in their news reporting? No. I always look for how they may be spinning the news in their interest. So should everyone else. 8. Bloggers are sometimes misunderstood for spreading non-objective (bias) commentaries. What is your take on that? There is no misunderstanding there. There are bloggers who are very non-objective. Indeed, it may be questioned if true objectivity is even achievable. The key is for 1) Malaysians to be able to read everything critically, and 2) for all media (MSM and bloggers) to be transparent about what their position or slant is, and what they are advocating. I myself subscribe to the principles of Advocacy Journalism. 9. Are there topics/news that you choose not to blog about? No. I believe that all topics that are in the citizens' interest can (and should) be written about responsibly. If you define self censorship as "the act of censoring or classifying one's own work (blog, book(s), film(s), or other means of expression), out of fear or deference to the sensibilities of others", then my answer is no. However, I do subscribe to the Society of Professional Journalists' Code of Ethics, and take pains to "Minimize Harm - Ethical journalists treat sources, subjects and colleagues as human beings deserving of respect". I also choose to present my arguments in a way that (I believe) will be understood and accepted by my intended audience (Malaysians). 10. Some professional journalists do not approve citizen journalism because they believe that only trained journalists can write objectively and ethically. What do you think? Looking at the way some professional journalists in Malaysia write, it's obvious that professional training is no assurance that a person will write objectively and ethically. IMHO, a citizen journalist can do just as well (if not better, because he/she has no editor to report to) as long as he/she is committed to ethical and objective writing and takes the trouble to learn and practice it. p.s: Out of curiosity, is there a reason to remain anonymous? It would help me understand bloggers better. I choose only to identify myself as Malaysian, because our current situation is one where people judge what one writes by one's religion, age, gender, ethnicity, socio-economic status etc. I would like my arguments to stand or fall on their own merits, not my identity. As an anonymous blogger, I feel more motivated to research and provide evidence for whatever I write, because being anonymous does not provide the automatic credibility (or incredibility) that some readers are content with. I really hope that Malaysians will achieve a stage of maturity where they can read and evaluate arguments for what they are, and not be swayed by the name (and the religion, age, gender, ethnicity, socio-economic status) of who is saying it. Today is World March Kuala Lumpur – Street Party! Since its initial proposal things have developed very quickly. In just a few months the World March has received the endorsement of thousands of people, pacifist and nonviolence groups, a variety of institutions, and renowned figures from the worlds of science, culture, and politics, who are sensitive to the urgency of the moment. It has also inspired an enormous diversity of initiatives in more than 100 countries, becoming a rapidly growing human phenomenon. Participate in The World March for Peace and Nonviolence. Be one of the brave and help us to create a new, non-violent global consciousness. 6:00PM–10:00PM: Street Festival at Jalan Bangkung with performances by Malaysian artists, exhibitions by NGOs, stalls selling food, ethnic items etc. 8:30PM-9:00PM: “Reclaiming the Night” Lantern Walk starting from Jalan Bangkung. 9:00PM-12:00AM: Peace Dance at Leonardo’s Wine Loft. Join us to spread this message of Peace and NonViolence. 1. Spread the word – send out this invitation to all your contacts via email, share on your Facebook, Twitter etc. 2. Come for the event on 10th October – Bring your family and friends and join the Lantern Walk (bring your own lantern) to “Reclaim the Night” and celebrate the world march for peace and non violence. Enjoy yourself at the street festival – there will be exhibitions by participating NGOs, exciting performances, food stalls etc. Then party at the Peace Dance at Leonardo’s. 3. Set up a stall or perform at the festival. 4. Make a donation to the NGOs. P.S. You can follow the World March's progress on their blog here. Did Hishamuddin Hussein and Syed Hamid Albar lie about Waythamoorthy's passport? One of the standard responses of Umno/BN to any people's power movement that they find threatening, is to to impugn the movements motives and cast aspersions on the honour and credibility of its leaders via lies and propaganda. The Hindraf phenomenon have been (and still are) treated the same: they have been called terrorists, traitors, embezzlers and so on by our government and its mouthpieces. One such smear was the attempt to paint Hindraf leader P. Waythamoorthy, who is in exile in the UK, as a dishonest man who exiled himself just to enjoy a comfortable life in London living on Hindraf's money. Part of that smear is the lie that Waythamoorthy had willingly surrendered his passport to the Malaysian High Commission in London, and lied about it having been revoked by the Malaysian authorities. Hishamuddin showing a copy of Waythamoorthy's passport to the media (photo from here). Reported here: "Dia sendiri yang datang serahkan dan bukan kita yang pergi rampas. Bahkan paspot itu masih lagi sah digunakan dan di dalam simpan pejabat Pesuruhjaya Tinggi kita di London," and added, "Beliau sewajarnya berhenti dari menuduh kita macam-macam...beliau boleh ke pejabat kita (Pesuruhjaya Tinggi Malaysia) untuk ambil paspot yang dipulangkan oleh beliau sendiri itu pada bila-bila masa. Mungkin beliau merasa malu sendiri" . Reported here: “Yes, he was the one who surrendered the passport,” he [Hishamuddin] confirmed. He added that Waythamoorthy should stop claiming that the government is stopping him from getting his passport. “Why should we apologise to him? Would you? Of course, not,” he said. Hishammuddin also added that Waythamoorthy could be too ashamed to go and get his passport because he had surrendered the document himself. “Maybe he received a better offer at that moment, he felt that the grass is always greener on the other side but when he went to the other side, he felt that it was not worth it. "Maybe he was ashamed because he himself surrendered the passport. That is why he claimed that we did not allow him to have his passport,” he said.."
"In other words, the Malaysian government has never made any cancellation to the mentioned travel document," said Home Minister Syed Hamid Albar Syed Hamid in a statement today. On 3 October 2009, Waytha's wife Mrs. Shanti, his brother P. Uthayakumar and lawyer N. Surendran held a press conference at Hindraf's office where they (again) presented evidence to prove that Malaysian authorities had informed the British authorities that Waythamoorthy's passport had been cancelled, and had requested them to impound and return it to the Malaysian authorities. 1. The precise date when the British Embassy in Kuala Lumpur was notified of the cancellation? A: The letter from the Malaysian authorities to the High Commission was dated 14 March 2008. 2. Which Malaysian authority notified the British Embassy (was it, for example, the Immigration authorities, Foreign Office or Home Ministry, or any other department)? A: l can confirm that the Home Office does hold information that is relevant to this part of your request. However, we have decided not to communicate this information to you in accordance with the exemption under Section 27 (2) of the Freedom of Information (FOl) A[ct] 2000, which covers confidential information obtained from a State other than the United Kingdom or from an international organisation or international court. I have explained more about this exemption below. A: The passport was cancelled as the Malaysian authorities were seeking your client’s arre[st] to face criminal charges. 4. When was the request made by the issuing authority for the return of the passport and was there any reason given for this request? A: A request was made by the Malaysian authorities for the return of your client’s passport on 2 July 2008 no reason was given for why they wanted the passport returned to them, Malaysian passports are of the property of the issuing authority and not of the individual holder and therefore this is why we intend to return the passport to them. 28 November 2007 - Waythamoorthy leaves Malaysia to avoid possible detention under the Internal Security Act and to obtain international support for HINDRAF's cause. He goes to India, then to London. 19 April 2008 - Waytha moorthy returned to London from Geneva, but was informed that the Malaysian government had revoked his passport, and therefore refused entry at Gatwick airport. Waytha asked the British authorities to seek a confirmation with the Malaysian government that his passport was, indeed, being revoked. Waytha spent 2 days at Gatwick. 21 April 2008 - UK Border Agency British immigration confirmed that Waytha's passport was revoked by the Malaysian government, and they (UK Border Agency) impounded his passport upon the Malaysian authorities' request. It was only then that Waytha decided to seek political asylum, which was duly given by the British authorities. 2 July 2008 - Malaysian authorities requested the British authorities (in writing) for the return of Waytha's passport to them. What are we to make of this? It seems to me that either the UK Border Agency is lying, or our ministers are. It's sad that some Malaysians have swallowed whole the disinformation and lies of Umno/BN, and parrot them in the online discussions and comments sections without question. What happened to the others? What's the point of paying them RM 1.50 or RM 1.20 every day if they choose not to report the news that matters? ARE YOU, YOUR FAMILY & FRIENDS REGISTERED VOTERS? IF NOT, WHAT ARE YOU WAITING FOR? 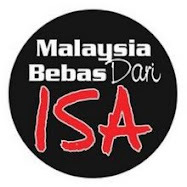 REGISTER A.S.A.P., AND USE YOUR VOTE TO CHANGE MALAYSIA FOR THE BETTER! A Malaysian who believes that good people working together can make a better world. Anak Bangsa Malaysia is Back On Track! The People’s Voice & The People’s Declaration! We are just ordinary people: Employers, employees, self-employed, pensioners, retirees, housewives, professionals, OKTs (orang kena tahan), Kem Kamunting old boys. 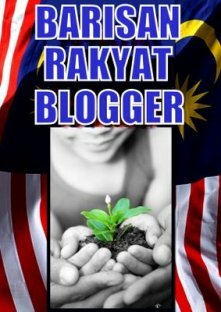 IF YOU BLOG FOR THIS COMMON CAUSE YOU QUALIFY TO UPLOAD THE BARISAN RAKYAT BLOGGER LOGO ONTO YOUR SIDEBAR. "Of late we are seeing the country going to the dogs with greedy politicians, corrupt police and judiciary, racial disintegration, religious bigotry and worse, an apathetic and a very gullible citizenry. Our founding fathers must surely be turning in their graves right now." "So all hands on deck for we cannot remain on the sidelines forever, on the outside looking in, nor can we just engage in ad hoc fire fighting. The proverbial ball, as they say, is in our court. The time and the place, my friends, is here and now ... "
They will keep on plying their trade quite profitably, so long as we Malaysians keep availing ourselves of their services. Will you to join me in this endeavour? "How to read partisan blogs"
√ 6/7/09 - Are vernacular schools obstacles? √ 24/6/09 - Burka brouhaha - What's the French agenda? √ 22/6/09 - Who is Aung San Suu Kyi? 3D Printing for Beginners – How to Buy a 3D Printer? All viewpoints and opinions expressed by me in these blog posts are solely my own and do not represent those of any organization I am associated with. I value your opinions & I welcome your comments to all the posts here. You are solely responsible for all views and opinions you express in the comments section. I reserve the right to moderate comments to ensure that the rights of all blog readers are respected. Sincerely, Malaysian Heart by Malaysian Heart is licensed under a Creative Commons Attribution-Share Alike 2.5 Malaysia License. Based on a work at malaysianheart.blogspot.com. Permissions beyond the scope of this license may be available at http://malaysianheart.blogspot.com/.